outside the cardboard box. 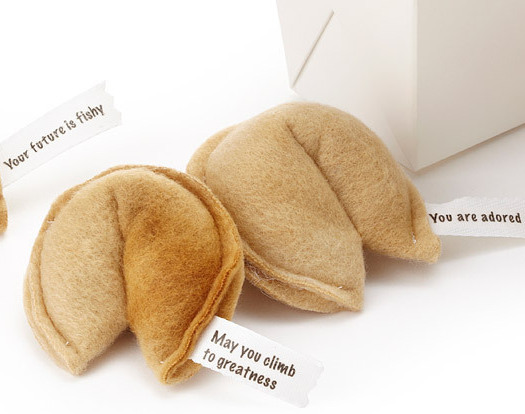 The time has come for Catnip Fortune Cookies! 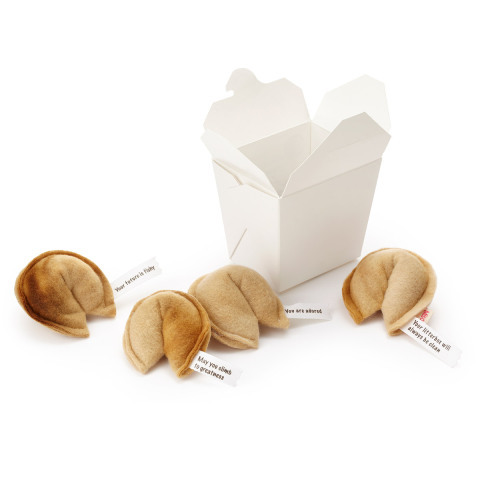 These are not the edible fortune cookies that we have come to know and love. These are actually toys made of a nice plush fleece and filled with catnip. Each one comes with a cat-style fortune attached on a bit of cotton ribbon. While this would make a lot more sense if your cat could read, chances are that you don't mind reading it for him or her. Each set of four cookies is handmade so there may be variations. The fortunes are chosen at random so they may not be the ones represented in the photos. I'm thinking that it would be cool to pull one out for my kitty to play with every time I order Chinese food. That way she will feel included. 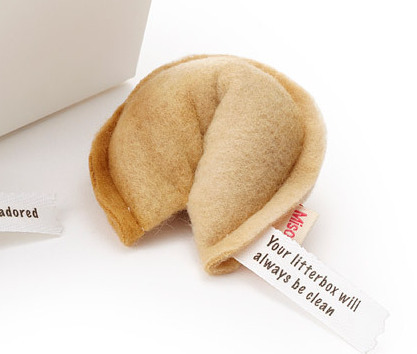 To order a set of Catnip Fortune Cookies for your precious puss, click here. This Kitten Has Mad Gaming Skills! The Animal Video Of The Day!! !